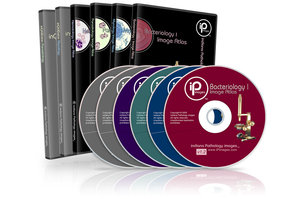 Indiana Pathology Images™ (iPimages™) was formed to develop affordable, high quality multimedia products for educators, students, and practitioners. The authors and editors have considerable experience with photomicroscopy and have been recognized for their high resolution and high quality images. All of the images, with few exceptions, included in these products were taken by the authors. From image atlases to study guides to teaching and testing materials, Indiana Pathology Images has the software package to match your needs. For quick access nothing beats the beauty of our high quality poster prints. Save time and look good doing it with these impeccably made posters. Students and practitioners will love these highly durable and alluring laminated bench aids! The size and 3-hole punched format allows for easy notebook storage and quick access. Mobile App! 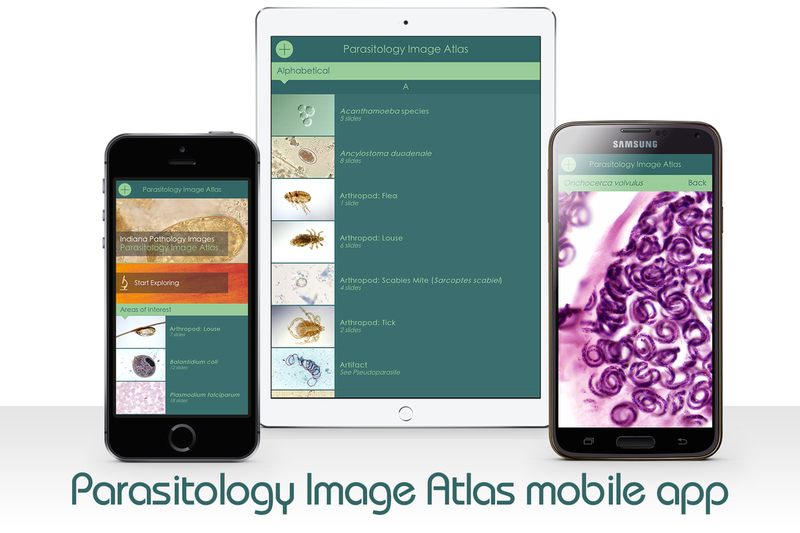 We are pleased to announce the first app in our new line of mobile apps featuring all the images that you've come to love from Indiana Pathology Images and a bonus flashcard feature. Download it today at your favorite mobile app store. New Release! 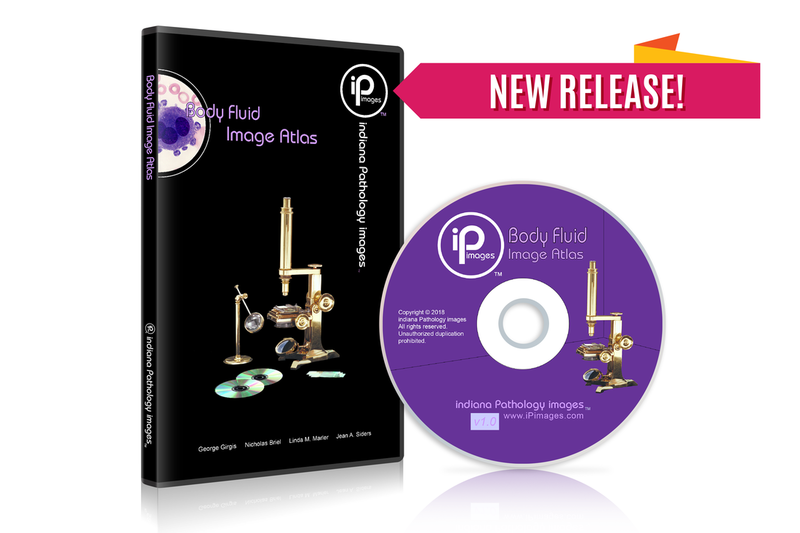 Indiana Pathology Images is very pleased to announce the Body Fluid Image Atlas, now available on cd-rom or for download.